They say the darkest hour is just before dawn, and for the first time Hannah is starting to truly understand what that means. With Gina’s husband misbehaving, Ross under attack, and bad news for Mitchell that only Hannah can tell him, things seem to be falling apart around her. As with my previous reviews, this will be fairly short to try and avoid too many spoilers plus the fact that the novella itself is short. To recap then, in The Accidental Guest we are introduced to the main character, Hannah, and her sister and niece, Gina & Jess respectively, on Christmas day. All seems fairly normal - banter, gifts, turkey and trimmings, until an unexpected knock at the door introduces them to a man with head injuries and memory loss. Whilst waiting for paramedics, the girls name him Tom, but its Hannah in particular he is take with and her to him. So much so that Hannah can't forget him and darts to the hospital to check all is ok... only to fail. Meanwhile we are introduced to hunky farmer and neighbour, Ross, who keeps coming to the girls' rescue one way or another. The girls are roped into a charity dance hosted by Ross' mother in I'm Not In Love and this is the first time we see Ross and Gina get closer. Whilst Hannah is trying hard to forget what connection she felt to Tom who we know as Mitchell, he just happens to walk into the party with his wife! Slowly over this book and Ways To Say Goodbye, Mitchell's memory comes back and he realises things about his marriage whilst getting closer to Hannah. Book 3 had an element of mystery about it as a strange car kept being mentioned and was often spotted outside of Hannah's home, however we aren't sure who it belongs to until Ross ends up in hospital! Finally One Starry Night see's relationships move forward between Hannah and Mitchell, Gina and Ross and Gina and Jess who have had some feisty mother-daughter moments throughout. 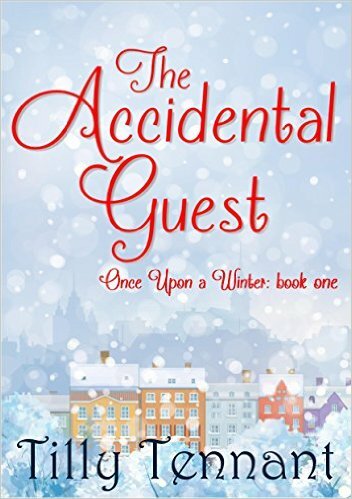 The series of books comes to a delightful closure, albeit a sad few paragraphs involving Hannah's lovely elderly neighbour and friend, George. 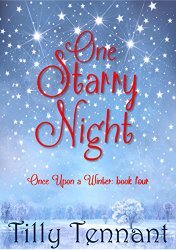 Overall the Once Upon A Winter series is a gorgeous story of love and friendship - there are bumps along the way but it tales a tale of moving on, opening your heart and being true to yourself. I can't wait for more from Tilly Tennant. Thank you to Brook Cottage Books for supplying review copies of the four parts.